Paris is an ancient city. The origins of Paris, then called Parisii, go back to the Gallo-Roman period in 300 BC. Today, one can still see the remnants from this period in the Arènes des Lutèce located in the Latin Quarter or in the Crypte of the Notre Dame; however, most of Paris has been built and rebuilt since that time. The greatest transformation of this impressive city came during the reign of Napoleon III and his principal architect, Baron George Haussmann from 1850-1870. In fact, the boulevards and architecture that Paris is famous for and that is reproduced on posters and postcards were created during these two important decades. Not only did this team improve the visible functionality and aesthetics of Paris through new boulevards, squares, public buildings and parks, it also provided the city with a much improved sewage system and water supply. This transformation became a great influence on other major European cities as well such as Rome, Stockholm, Barcelona and Madrid even expanding as far across the Atlantic as Mexico City. The United States followed suit with the replanning of Washington D.C., Philadelphia and Chicago after the reconstruction of Paris. Napoleon III and the Rebuilding of Paris is a product of extensive research by Professor David Pinkney from the national archives in Paris which survived the fires of the Communards of 1871. Pinkney chronicles the rebuilding of Paris during the Second Republic after Louis Napoleon Bonaparte escaped from prison and became the President of France in 1848. Over the next two decades through the leadership of he and Baron Haussmann, Paris was transformed into a modern, functioning, clean city. In Napoleon III and the Rebuilding of Paris, David Pinkney gives an in-depth look at this redevelopment of Paris including the political, financial, and logistic struggles during that time. 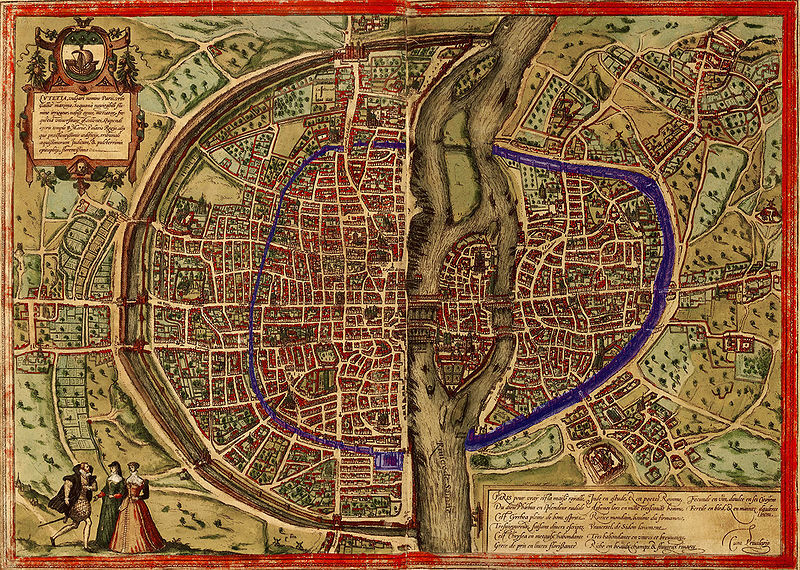 In the introduction, Pinkney gives some background of Paris starting with the fortress walls which Philip Augustus built in the 12th century, to the “Walls of the Fermiers-généraux” built by Louis XIV which expanded the legal limits of the city, up to the unlivable conditions of Paris in 1848. More than one-third of the city’s 1,000,000 inhabitants lived in an area not twice the size of Central Park. The narrow streets were covered with raw sewage which led to disease. Cholera plagued Paris with the highest death rates peaking at 19,000 in 1848. Pinkney quotes Balzac, “Our grandsons will refuse to believe that such a piece of barbarism existed for thirty-six years in the heart of Paris…”(11) Victor Hugo even places his main character Marius as living in the “slums’ along Boulevard de l’Hôpital. The slightest rain turned the dirt from paving stone into black mud. Paris was a “smelly city” caused by horse droppings, industrial exhaust and garbage and sewage in the streets which ran into the Seine. The city of Paris needed help and someone with a vision and means to do it. That man was Louis Napoleon Bonaparte. Pinkney devotion the following two-thirds of his book to Bonaparte’s plans, sources of revenue for the reconstruction and the political battles he faced. 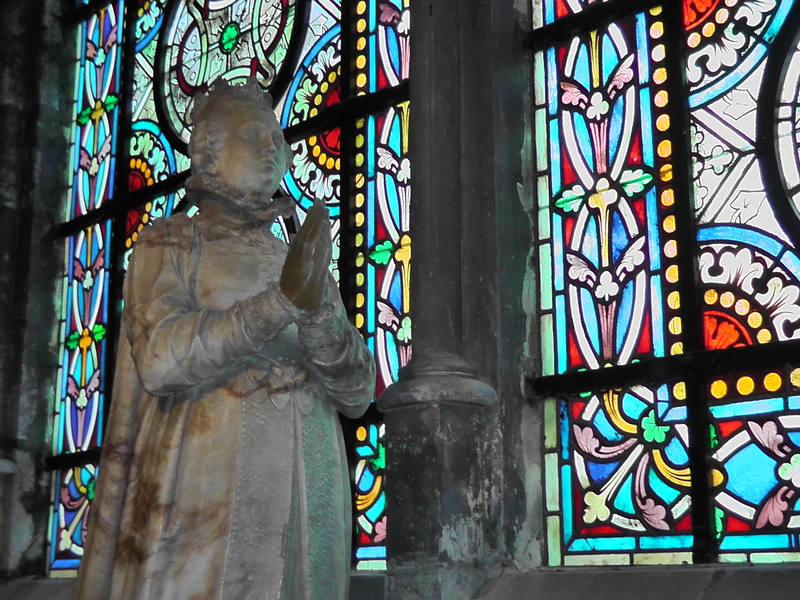 In the first section, Pinkney focuses on the plans and projects for the rebuilding of Paris. He suggests that Napoleon III modeled the rebuilding of Paris on his previous visits to progressive cities such as London and New York and on his predecessors Louis XIV (Versailles and great boulevards of the Right Bank), Henry IV (Place des Voges) and Louis XV (Place de la Concorde). In addition, Napoleon III could have been influenced by Voltaire’s essay Des Embellissements de Paris where he describes Paris as “‘the center of the city dark, confined, frightful…the public markets established in narrow streets, parading squalor, spreading infection, and causing continual disorder’”(32). Finally, perhaps Napoleon III was influenced by his uncle Napoleon I who in 1798 said ,’If I were master of France, I would want to make Paris not only the most beautiful city that had ever existed, but also the most beautiful city that could exist’(33). Napoleon I followed this dream by building the Rue de Rivoli which spans across the entire city east to west, the Quais along the Seine, four bridges, and public works. 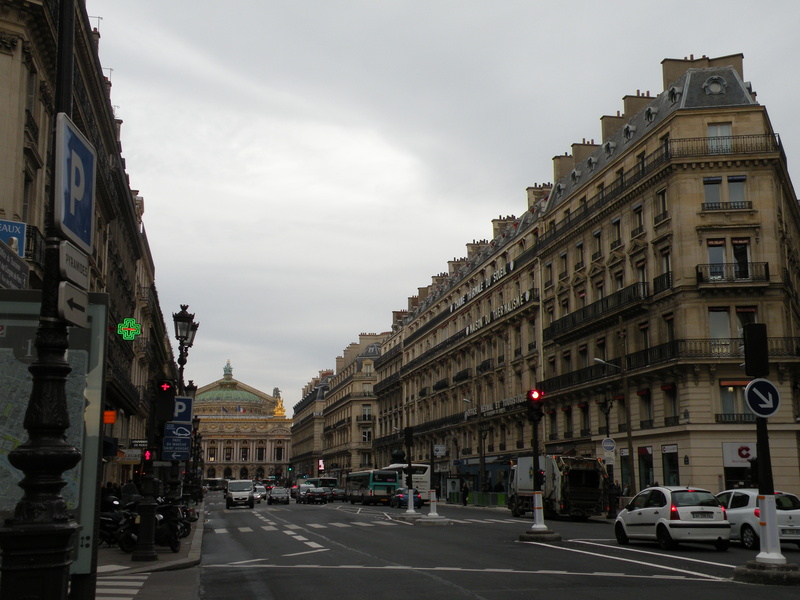 In 1850, Napoleon III and Baron Haussmann set out their plans for the rebuilding of Paris. During the next two decades, they built 85 miles of new streets, 70 schools, 50 churches, 2 large hospitals, 7 markets and such famous public buildings as the Bibliotheque Nationale, Opera Garnier, and remodeled the Louvre museum and Hôtel Dieu. They also tore down slums which covered the Ile de Cite displacing 14,000 residents. They created four public parks- Bois de Boulogne, Bois de Vincennes, Buttes Chaumont and Parc Monceau- as well as 15,000 lamps to illuminate this dark city. In order to address the sewage problem, they created 348 miles of underground sewers, four times the existing sewers. In addition, they annexed the suburbs adding 400,000 people as well as 450,000 immigrants (153). Pinkney states that “the pull of Paris became irresistible…rural workers were convinced that in Paris they could live better and work less”(154). To provide transportation for this growing city, they created tramlines and “Omnibus boats” which carried passengers up and down the Seine and additional railroad and suburban lines. Of course, any endeavor of this magnitude is complex. It not only requires planning, it also requires funding. Napoleon III had gained support of bankers after he had dissolved the national assembly in 1851, seized control and made himself Emperor. He ended the depression of France and these investors saw a future in him. Napoleon III created the “Credit Mobilier” which was a system of long-term borrowing against future income. He used the proceeds from these loans along with the subsidies from the state to fund his projects. In order to continue this support, construction was moved at a “feverish pace” so the citizens could see the progress of the projects they were funding(188). However, Haussmann began to receive criticism from the parliamentary opposition. Pinkney states that he “spent the taxpayers money without their consent, withheld information on the use of public funds, and defied efforts to control his activities”(189). Since 1858, Haussmann had amassed a debt of ½ billion francs without any authorization of the legislative body. When these attacks were made, the “real target” became clear (189). Napoleon III was left with no choice but to establish a Public Works Fund (Caisse des Travaux de Paris) to relieve the city budget of temporary financial obligations. This allowed some relief, however parliament was still untrusting of Haussmann. In a mocking reply to Haussman’s claim that his work in Paris was finished, Thiers exclaimed, “Your work is finished! Better say it is your resources that are finished”(203). Napoleon realized that in order to save himself, the Prefect would have to be sacrificed. In 1869, Haussmann added up the costs of rebuilding the city since 1851 and they came to a total of 2,500,000,000 francs(174). Therefore, Napoleon III had only twenty years to realize his plans before his architect Baron Hausmann was dismissed in 1870 and his Empire fell. In conclusion, Napoleon III had transformed Paris into a modern, functioning city despite political, financial and logistic obstacles. However Pinkney concludes this story stating that ,”in 1873 he [Napoleon]died a disappointed and unhappy man”(210). Napoleon had a dream and a plan, and accomplished them but left behind many enemies. He and Haussmann continue to be praised and condemned for what they accomplished. Pinkney refers to Napoleon with a quote from Voltaire almost a century before stating, “May God find some man zealous enough to undertake such projects with a soul firm enough to follow them through with a mind enlightened enough to make them succeed”(40).